Next week we will be starting our partnership with the NASA S'COOL Program! For the remainder of the year, we will be making cloud observations and sending them to scientists at NASA. They will use the data we collect to help calibrate the CERES weather instrument that is traveling high above us in a satellite! Before we begin our work collecting cloud observation data as part of the NASA S'Cool project, see if you can find the answers to these scavenger hunt questions using data collected by last year's 6th grade class. 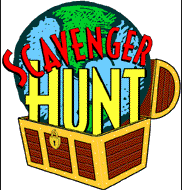 Click HERE to try the S'Cool data scavenger hunt! Do you want to learn more about the S'COOL program and the CERES satellite? Check out this video!